•A2 bird cage flash hider (1/2x28 MilSpec thread pattern) *NOTE: Flash hider installed with crush washer. •16.5” M4 barrel with an F-Marked A2 front sight post gas block. •MagPul Industries MBUS Gen 2 or A.R.M.S. rear flip-up sight. •Standard semi-auto lower parts kit featuring a single stage trigger system. This is a restricted firearm. 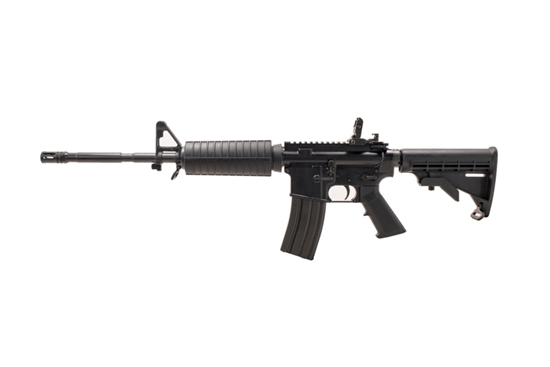 We are unable to ship firearms and ammunition outside of Canada.